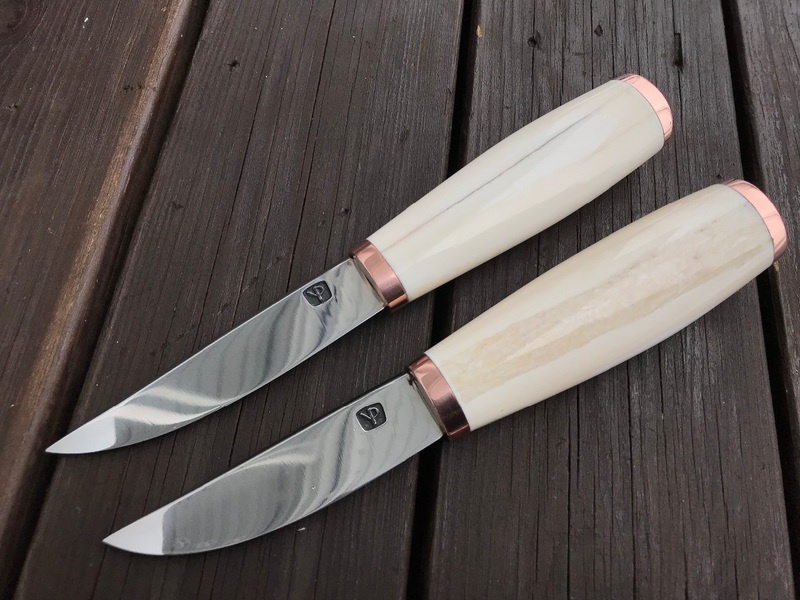 High polished Puronvarsi Diamond blades with Walrus Tusk handles. 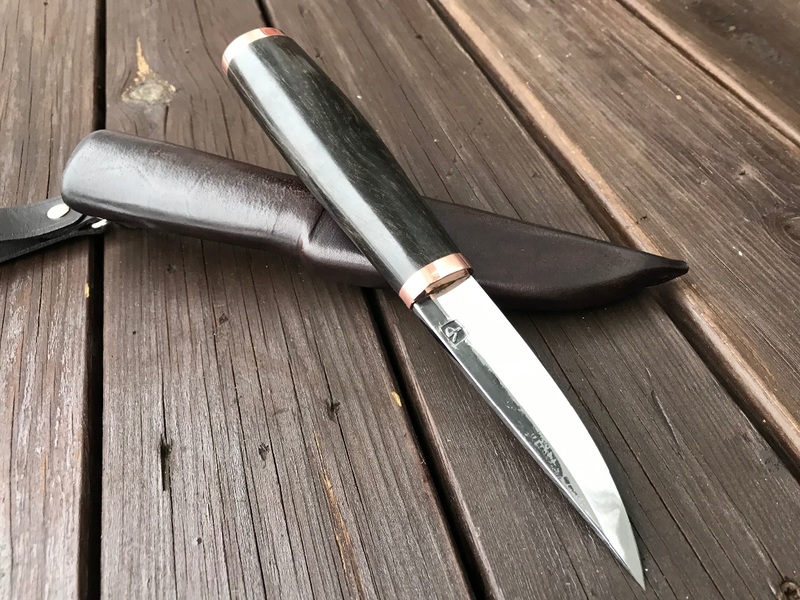 Carbon steel high polished Puronvarsi blade and ebony handle. Copper fittings.